Cryptocurrencies are one of today’s hottest asset classes to invest in. Bitcoin in particular has soared in price from pennies to thousands of dollars per unit in just a few years. Price is what an investor pays, but value is what an investor gets. It’s easy to look up the current price of Bitcoin, but it’s harder to determine what a realistic Bitcoin value is. This article provides a framework to help you think about how to determine Bitcoin’s value for yourself, and the value of other cryptocurrencies, including explaining a lot of the risks involved. Here’s a list of all current cryptocurrencies. There’s over two thousand of them! Currently, there are 16 cryptocurrencies that have over a $1 billion market capitalization. But really, Bitcoin, Ethereum, and Ripple are the three that are far in the lead in terms of adoption. Bitcoin has over 50% market share, Ethereum has another 10%, and Ripple has another 8%. When I originally wrote this article in 2017, Bitcoin was worth $6,500 or so. It then went on to increased to over $17,000 only to come back down to the mid-$6,000’s again. I keep this article updated every few months. Now that we’ve established what cryptocurrencies are and why they are difficult to value, we can finally get into a few methods to approach how to determine their value. Remember, price is what you pay, value is what you get. A stock can have a higher or lower price than what its value is truly worth, and a cryptocurrency can as well. What is a realistic Bitcoin value? There’s no way to determine a precise inherent Bitcoin value, but there are certain back-of-the-envelope calculations that can give us a reasonable magnitude estimate for the value of bitcoins or other cryptocurrencies based on certain assumptions. The total number of bitcoins in existence (M) is a little under 17 million in late 2017, and it will max out at under 21 million over the next several years based on its algorithm. That’s the easy part. Now we have to come up with estimates for V and T, which is the hard part. Let’s start with a velocity example. Suppose you had a town of just two people, a farmer and a carpenter. The only money in the town is that the carpenter has $50. If, in the course of the year, the carpenter buys $30 in carrots and $20 in tomatoes from the farmer, and then the farmer pays the same $50 to the carpenter to build a fence around her property to keep pests out, then a total of $100 in transaction volume (economic activity) has occurred. The money supply is $50, and the velocity of money is 2. The velocity of the United States M1 (highly liquid) money supply (shown here) hit a high of over 10 in 2007 and is now a little over 5. The velocity of the United States M2 (moderately liquid) money supply (shown here) hit a high of 2.2 in 1997 and is currently at less than 1.5. Currently, the velocity of Bitcoin is a little bit under 3% per day on average, or about 10 per year (1,000%). That seems reasonable, but the problem is that a large portion of this velocity is just trading volume, not spending volume. For a healthy currency, the vast majority of volume is from consumer spending, with only a small percentage of that volume involved with currency trading. Bitcoin however has a significant percentage of it just being moved around by speculators, rather than people going down to their coffee shop and buying a cup of coffee with some Bitcoin fractions. There’s no way to know what percentage is moved around for spending compared to what percentage is moved around for trading/speculation. But anyway, we have actual velocity, even if the number itself is questionable, and we have what the typical velocity range of a major fiat currency is. When I value Bitcoin, I will use a range for the velocity value to imagine a few different scenarios. The final (and hardest) part is T. This is the variable that represents the actual value of goods traded in bitcoins per year. Let’s start with criminal activity, since that’s one of Bitcoin’s biggest applications unfortunately. PwC estimates that global money laundering is $1-$2 trillion per year. According to CNBC, the United Nations estimates that the global drug trade is worth $400-$500 billion per year, and that organized crime in general clocks in at $800-$900 billion, with much of that figure coming from their drug trafficking. Most broadly of all, this research paper estimates that the global black market is equal to about 20% of global GDP, or about $15 trillion annually. If we imagine right now that 10% of the global black market economic activity occurs in Bitcoin and nobody else uses Bitcoin, it would mean $1.5 trillion in goods/services is exchanged Bitcoin per year, which would be immense. Going back to the Bitcoin = T/(M*V) equation, if M is 17 million bitcoins in existence, and we use V as 10, and T is $1.5 trillion, then each bitcoin should be worth about $8,800. Let’s call that an unrealistic high end estimate. If T is $500 billion and V is 10, then each bitcoin is worth under $3,000. If T is $100 billion and V is 10, then each bitcoin is worth under $600. If T is $10 billion and V is 10, then each bitcoin is worth under $60. I’m going to argue in my next section that the transaction volume of Bitcoin is on the bottom end of that range. It’s nowhere near $1.5 trillion, and probably not even a tenth of that. Now, black market activities aren’t the only use of Bitcoin. 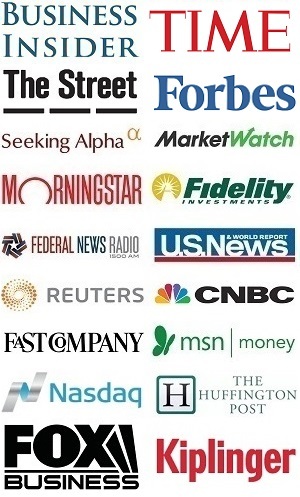 A variety of companies accept Bitcoin like Microsoft, Overstock, Expedia, Newegg, plus other companies listed here. 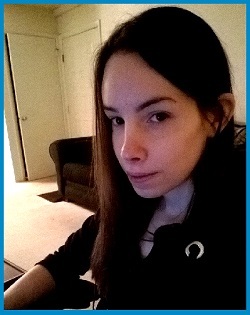 But it still seems more of a novelty at this point. Besides estimating the current value of bitcoins, we can estimate the future value of bitcoins. Suppose that cryptocurrencies really take off, and in ten years, 10% of global GDP trades hands in cryptocurrencies, with half of that being in Bitcoin. At about 2% GDP growth per year, the global GDP in ten years will be about $90 trillion USD, which means $9 trillion in cryptocurrency transactions including $4.5 trillion in Bitcoin transactions per year. 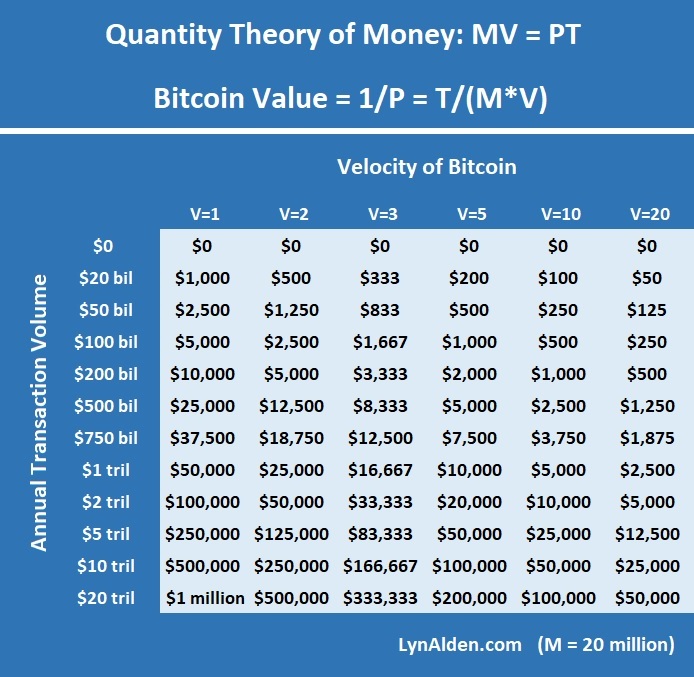 If T is $4.5 trillion, M is 20 million bitcoins in existence by then, and V is 10, then due to the Bitcoin = T/(M*V) equation, each bitcoin should be worth $22,500 by then. And here’s a bearish scenario. If Bitcoin drops in market share to just 10% of cryptocurrency usage, and cryptocurrencies only account for 1% of GDP in ten years, and M is 20 million and V is 10, then each bitcoin will be worth about $450. And I mean, it could drop to zero if its usage totally collapses for one reason or another, either because cryptocurrencies never gain traction or Bitcoin loses market share to other cryptocurrencies. As you can see, there’s a huge range for what bitcoins should be worth in the coming decade or so, depending on how much economic activity they eventually become used for and what the velocity of the coins is. If you stick to a velocity of 5 or 10 and look down those columns, you can then just focus on what level of economic activity you expect Bitcoin to be used for in the next decade, which will give you a rough idea of what it might be worth at that time. Now, let’s keep it a bit simpler by not worrying about monetary velocity. Let’s just compare cryptocurrency adoption compared to fiat currencies as a rough order of magnitude sanity check. 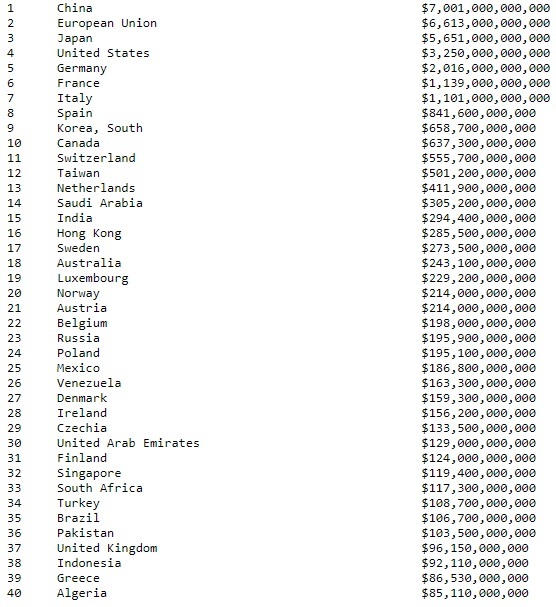 The CIA World Factbook has a list of the size of the M1 money supply of each country, converted to USD. China is at $7 trillion, the U.S. is at $3.2 trillion, Canada is at $637 billion, Singapore is at $119 billion, etc. Right now, all cryptocurrencies together are worth about $200 billion, with Bitcoin alone accounting for $115 billion. That makes it equal to about the M1 money supply of Singapore ($119 billion USD), a country of almost 6 million people and a $300 billion GDP that uses the Singapore Dollar as their medium of exchange. This chart gives an idea of the active user base of Bitcoin, since the ledger is public. There are about 5 million accounts (addresses) with over $100 USD worth of bitcoins, of which only 2 million have over $1,000 USD worth of bitcoins. And users can have multiple accounts, so the total number of active users is probably under a million. For reference, the Bitcoin subreddit has about a million subscribers. And then we’re back at the question of how much economic activity (the equivalent of GDP) that actually occurs in Bitcoin from these million or fewer active users. How much of the $400 billion+ global annual drug traffic market uses bitcoins? Or how much of the $15 trillion global black market? How much legal economic activity is occurring in bitcoins? It’s difficult to say. Considering there are far fewer active Bitcoin users than Singapore citizens, the average Singapore citizen is quite well off, and most Bitcoin users probably only do a portion of their economic activity in Bitcoin, I find it extremely doubtful that there’s anywhere near as much economic activity in Bitcoin as in Singapore’s $300 billion economy of six million people. But it could be a tenth as much, which means the value of all bitcoins together could be about a tenth as much as Singapore’s money supply. That implies Bitcoin is heavily overvalued right now, as it’s collectively worth over $100 billion but should be worth maybe a tenth of that. If 500,000 people do an average of $10,000 in Bitcoin economic activity per year (not trading, just actual spending), that would only be $5 billion in actual Bitcoin economic activity. That’s a tiny fraction of Singapore’s economy, far less than even a tenth, and Bitcoin’s total value would be a tiny fraction of Singapore’s money supply (just a few billion dollars worth), meaning each bitcoin should be worth like a hundred bucks and it’s currently grossly overvalued in tulip territory. However, one argument for why Bitcoin is worth more now than it should be based on its estimated current economic activity, is because some people expect its adoption rate to go up quickly. Suppose for example that within 10 years, Bitcoin surpasses Canadian dollars in terms of economic activity to become a top-ten world currency. Canada has 36 million people and a GDP of $1.5 trillion, their M1 money supply is worth over $600 billion, and their M2 money supply is worth over $1.3 trillion. If there are 8 billion people in the world in ten years, and 5% of them use Bitcoin, that’ll be 400 million Bitcoin users. If the average Bitcoin user does only 10% of their economic activity in Bitcoin and 90% of their economic activity in typical currencies, then that’s the equivalent of 40 million people using Bitcoin for 100% of their economic activity, or roughly the size of the Canadian economy assuming similar average per-capita economic activity. If Bitcoin’s reasonable market cap becomes worth, say, $600 billion in that scenario (comparable to Canada’s M1 money supply), and there are 20 million bitcoins in existence by then, each bitcoin would be worth $30,000. That’s a bullish scenario, but not impossible. It explains why some people are willing to pay several thousand dollars per bitcoin today. Lastly, let’s compare Bitcoin value to gold value. All the gold in the world is worth approximately $7.5 trillion, based on the World Gold Council’s estimate of how much gold has been mined and what the per-ounce price is. If Bitcoin achieves 10% of the global value of gold ($750 billion) over the next 10 years and the number of bitcoins at that time is 20 million, then each Bitcoin would be valued at about $37,000. If Bitcoin only achieves 5% as much global value as gold, then Bitcoin value will be less than $19,000. If Bitcoin collectively is only worth 1% of gold, then each one is down under $4,000. Personally, I prefer precious metals to cryptocurrencies when it comes to alternative investments. They have thousands of years of reliable history, and each precious metal has scarcity and inherent usefulness. They are all chemically unique, especially gold, and there are a very small number of precious metals that exist. Cryptocurrencies on the other hand, while each one does have scarcity, are infinite in terms of how many total cryptocurrencies can be created. In other words, there is a finite number of bitcoins, a finite number of litecoins, and a finite growth rate of ether, and so forth, but anyone can make a new cryptocurrency. What this means is that even if cryptocurrencies become popular in usage, they could become so heavily diluted by the sheer number of cryptocurrencies that any given cryptocurrency only has a tiny market share, and thus not much value per unit. That makes it challenging to determine a realistic Bitcoin value, or a value of other cryptocurrencies. Right now, Bitcoin, Ethereum, Ripple and a few other systems have most of the market share. If cryptocurrencies take off in spending usage worldwide, and a small number of cryptocurrencies continue to make up most of the cryptocurrency market share, then it will likely be the case that the leading cryptocurrencies remain valuable, especially if you hold onto all coins when hard forks (currency splits) occur. Blockchains are an extremely useful technology, and cryptocurrencies based on blockchain technology do have a lot of reputable applications as a means of global exchange. The engineering method of problem-solving is break a difficult problem into several small parts and then solve them individually, or realize that certain parts are unsolvable and to identify which assumptions need to be made. The benefit of this article is that it quantitatively shows which assumptions are necessarily to justify various cryptocurrency valuations. Understand the numbers and growth rates of how many units can exist in that cryptocurrency. That’s easy. Estimate how much economic activity will occur in total blockchain cryptocurrencies in maybe 10 years. That’s hard. Estimate how a given cryptocurrency will change or retain market share of total cryptocurrency usage. That’s hard. Compare those spending patterns to other monetary bases as a sanity check, or take into account velocity of money. That’s easy. Basically, it takes a lot of assumptions to determine anything close to an inherent value for units of any given cryptocurrency. I don’t know to what extent cryptocurrencies will be used for spending in the next 5 or 10 years. And I don’t know which cryptocurrencies will have the dominant market share over time, or if they’ll all be diluted. But I recognize the largest cryptocurrencies as a reputable (albeit extremely risky) alternative asset class at this time, and it may be worth having a very small portion of a portfolio allocated to a basket of them. Based on the estimated number of current users and current spending activity (inferred from the number of known addresses, volume information, and so forth) when applying the quantity theory of money, Bitcoin seems greatly overvalued. Bitcoin’s market cap is in the same ballpark as Singapore’s M1 money supply, even though it has far fewer active users and probably far less economic activity per user. But considering where this technology could go within the next decade and the prices that bitcoins could reach if certain bullish outcomes occur, I don’t consider it tulip mania either for those that truly believe this could become a major global currency. I can at least see a rationale there and the most optimistic numbers do support their thesis. Bitcoin values could go up by a lot, or they could fall to nothing, and it mostly comes down to how much and how fast Bitcoin or any of these cryptocurrencies can achieve widespread spending usage, if any of them ever do. Right now, there’s already a lot of optimism backed in; bitcoins and other major cryptocurrencies are extremely expensive compared to their estimated current usage. Investors are assuming that they will achieve widespread adoption and are paying up accordingly. That means investors should apply considerable caution.